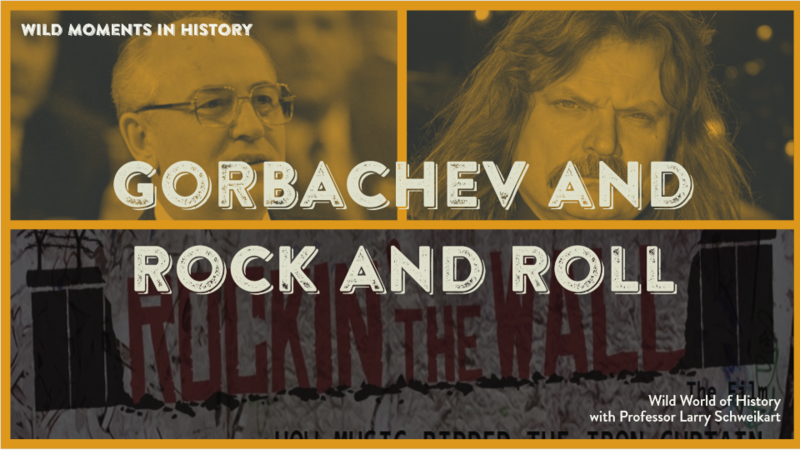 Did you know that Mikhail Gorbachev said Rock and Roll music was “fundamental” to ending communism? Joseph Morris, then a lawyer with the White House assigned to Voice of America, recalled rancorous fights between those who wanted to broadcast rock music and those who wanted to keep VOA/RFE limited to opera or classical music—maybe, at the outside, big-band “swing” music. Morris said some insisted they were missing the point. Rock music itself not only connected to the younger people, but it embodied American liberty in its very music form. As we demonstrated in our 2010 film “Rockin’ the Wall,” the structure of rock music was a portrait of American freedom in that most rock songs of the day began with the whole group playing together, then featured a solo—where the individual shined—then returned to the group to finish the song. This was America: we could unite for common purposes, but we never, ever lost our individuality. Thus, even when Eastern European kids did not know the lyrics (which more often than not celebrated individualism), they still “got the message” merely by the structure of the songs. It didn’t take long before Eastern European and Russian rock groups appeared. Naturally, the totalitarian Soviet government and its clients tried to control it. There was—not joking—in Russia a Ministry of Rock to handle rock and roll bands and ensure they played “acceptable” lyrics. All those efforts failed. Leslie Mandoki, a Hungarian rock drummer and anti-communist activist, escaped to the West early in his career. He became a highly successful music producer in Germany—so successful he hobnobbed with the biggest celebrities in the world at the time, including Bill Clinton and . . . Mikhail Gorbachev. “Gorby” came to Mandoki’s house and as they talked, Gorbachev told him “Rock music was fundamental to bringing down” communism and the Berlin Wall. He said that while the Soviet system could keep out western movies, news, and books, rock and roll kept seeping through thanks to Voice of America and Radio Free Europe. Even Bruce Springsteen’s concert in East Berlin in 1988 backfired. The communists let him play because they heard he was a liberal who had criticized Ronald Reagan. But after playing a few songs, he announced to the crowd he was not there to support or denounce any system. Then he launched into “Born in the USA.” Although this was an anti-Vietnam War song, the audiences did not know that, and when they sang “Born in the USA” in the chorus (according to Mandoki) they wanted to be born in the USA!